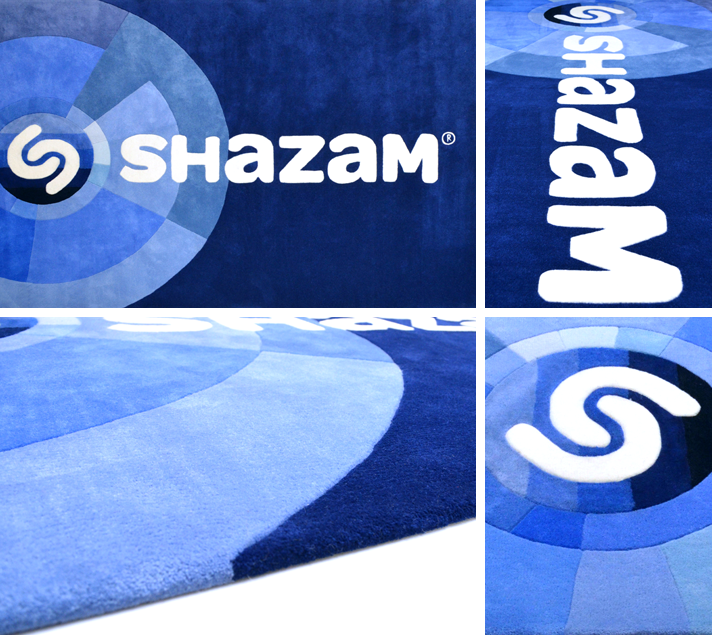 Founded in 1999, Shazam pioneered the audio recognition technology which was helping mobile phone users to identify music via SMS message as early as 2002. Today, via its mobile app and free non-mobile download users can ‘Shazam' songs and TV shows and are able to identify, explore, purchase and share their results. Shazam now boasts in excess of 100 million monthly active users and announced in 2014 that it’s technology had been used to identify 15 billion songs. Such rarefied figures are only shared by services such as Facebook, Twitter and You Tube and with these come a very high level of brand recognition. 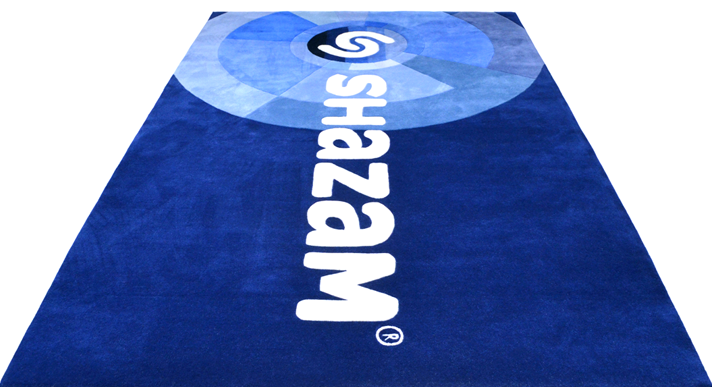 Therefore, when we embarked on their branded rug we were very mindful of the familiarity of the Shazam brand and the resulting attention to detail required in order to create a faithful reproduction. 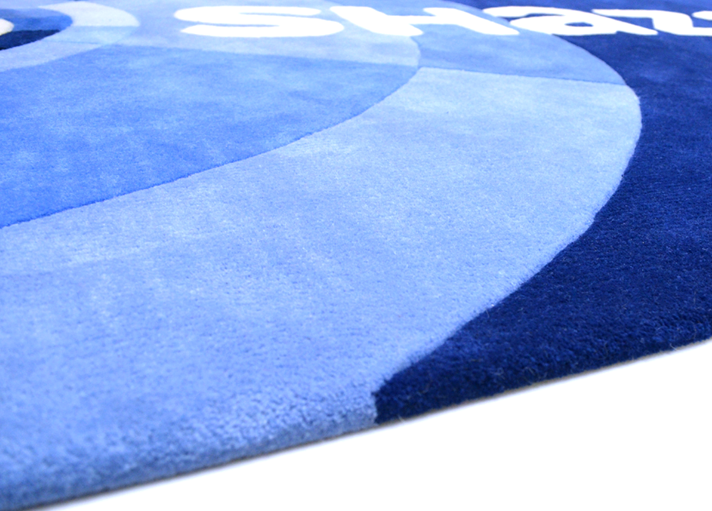 The finished rug measured 2.1 x 3.2m and was hand tufted in New Zealand Wool, giving a luxurious, plush pile underfoot with stain inhibition treatment to give extra durability for use in such a heavy traffic area.